I am bursting with excitement because I am going to do my first quilt-along! Now, you may say, "Jennifer, don't you have enough sewing projects you're working on? Don't you have a quilt top that you haven't quilted yet? Aren't you pretty busy doing a Ph.D. proposal?" Yes, yes, and yes. But goodness knows that I (and from reading blogs, most sewers/quilters) enjoy doing as many projects at once as possible. My use of the word "enjoy" might be a stretch, but regardless, we can't help ourselves. I certainly can't. At least we're never bored. So, quilt-along, here I come! 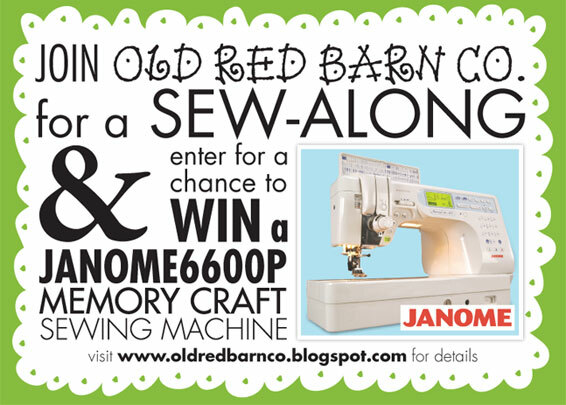 Old Red Barn Co.'s sew-along is going to last six weeks (see the schedule of events here), and since my two-year wedding anniversary is seven weeks and one day away (I just counted), my wonderful husband is buying my fabric for me as my anniversary gift! This is the first time I will have bought more than a fat quarter's worth of designer fabric, so I am really excited. 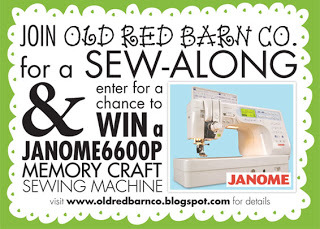 And I almost forgot - part of the sew-along is the giveaway of a Janome sewing machine, along with weekly giveaways. Can't beat that! Week One is the gathering of supplies. It took me a really long time to decide what fabrics to buy, but when I saw this stack of fabrics, I fell in love. I bought my 12 half-yards and a yard for binding of Sandi Henderson's Ginger Blossom last night from QuiltHome.com, and it's already been shipped. (Ok, so maybe I actually bought 16 half-yards and a yard for binding. I figure I'll just put together what looks best and if I want a bit on the back, I'll have extra.) I'll post a picture once they come in. If you have the time for a little bit of quilting over the next six weeks, think about joining. It's going to be fun! Previous PostPrevious Our first bell pepper!